Zappa means hoe in Italian. Jacopo told me that. Jacopo is Jacopo Franzoni, a fan of all composers named F. Zappa - of which there have been two. One was Frank Zappa, famous composer and rock star guitarist of the 20th century. The other was Francesco Zappa, unknown composer and cellist to royalty of the 18th century. Jacopo recently organized a conference in Milan Italy devoted to both F. Zappas. Before the conference he interviewed me about the Two Zappas via the miracle of Skype. Then he edited video from several hours of our conversation down to a concise 8 minute long video. This was shown at the conference. If any one thing unites the people of Italy it is that they speak Italian. Sadly, I know only a few words in Italian and these are all nouns which fall into one of two categories: music (e.g. "fermata") or food (e.g. "martini"). Please don't remind me that these have long since become English words. To make it easier for those attending the conference to understand my palaver, Jacopo added Italian subtitles to the video. When he told me that he intended to do this I expressed some curiosity about how I might look that way. Jacopo replied that I'm much more handsome with Italian subtitles. I'll let you be the judge. Here's another of Jacopo's videos in which I appear briefly. It's the trailer for the conference. Jacopo called it the "appetizer". You might notice that Jacopo Franzoni shares billing with Vanni Moretto. Vanni is a conductor who specializes in Baroque and Classical repertoire. His ensemble is called Atalanta Fugiens and guess whose music they've recorded. If you answered F. Zappa you'd be correct. I'm very impressed by the quality of their performance. 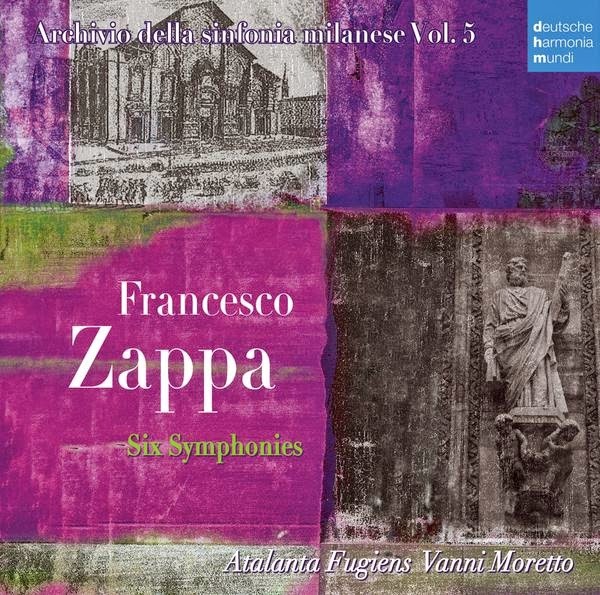 I just discovered that Atalanta Fugiens has recorded all six Zappa Symphonies on an album from Deutsche Harmonia Mundi. I look forward to hearing all of them. Now some 20th century F. Zappa played by the same talented ensemble. If you dare, compare that to the same music performed 30 years ago by the Barking Pumpkin Digital Gratification Consort, Frank Zappa conductor. "Synclavier Document Encryption" for this was provided by David Ocker, Assistant Director of the consort, who all by himself was actually the entirety of the membership. I know you can't resist asking "Who was Francesco Zappa"? I've written about Francesco Zappa before, here. Francesco has his own website, here. Fascinating new information about Francesco's life and death, here.